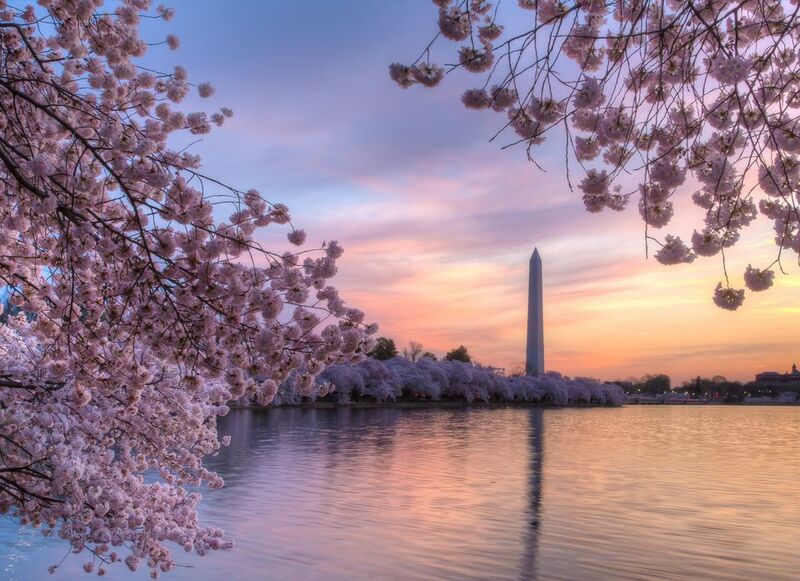 Each spring, approximately one million people visit Washington, DC during the National Cherry Blossom Festival. Getting around the city during this popular event can be challenging, especially on the weekends. Parking is limited in the city, so the best way to get to the Tidal Basin and the National Mall is by public transportation. The following guide provides tips for transportation during the Cherry Blossom Festival. The DC Circulator Bus will run every ten minutes from Union Station to the National Mall. Hours of operation are 7 a.m. to 7 p.m. Monday through Friday and 9 a.m. to 7 p.m. Saturday and Sunday. The cost is just $1 per person. The best way to get to the Tidal Basin is to take Metro to the Smithsonian Station. You should be prepared for long lines during peak visiting times (especially on the weekends). You may purchase your Metro fare in advance to save time. Be sure to have enough fare value on your SmarTrip card or farecard to make a round trip. Read A Guide to Using Washington Metrorail for more details. From the Smithsonian Metro station, walk west on Independence Avenue to 15th Street. Turn left and head south along 15th Street to reach the Tidal Basin. If you choose to drive into the city, be aware that public parking is very limited near the National Mall. On-street parking in Washington, DC is restricted during morning and evening rush hours. If you choose to park in a parking garage or public parking lot in the downtown area, you should expect to walk a good distance to reach the cherry trees on the Tidal Basin. The Hains Point parking lot has more than 300 spaces and will fill up during peak times. A $1.00 per person shuttle will run from 10 a.m. to 7 p.m., between Hains Point and the Tidal Basin. During the National Cherry Blossom Festival, one of the best ways to get around Washington, DC may be by bicycle. On weekends, FREE bike valet service is available at the Jefferson Memorial parking lot, south of the memorial. Hours are 10:00 a.m. to 6:00 p.m. Capital Bikeshare offers three-day membership priced at $17 and during peak bloom, riders will find a free Corral Service on the National Mall. The National Park Service will also place extra bike racks at Independence Avenue & 15th Street, SW, near the Tidal Basin, which bikers with their own locks can utilize free of charge. Seeing the cherry blossoms does require a lot of walking. If you do not get around so easily, you can always take a taxicab to the Tidal Basin. Taxis are available throughout the city and will take you directly to the blossoms. Read more about Washington DC taxis. You can also take a water taxi from Washington Harbour in Georgetown or from the Wharf to the Tidal Basin and enjoy viewing the blossoms from the water along the way. Try DC Water Taxi or Potomac River Boat Company. Sghtseeing cruises are also a popular way to see the blossoms. Read more about Cherry Blossom Cruises.